Review this list to see which CLEAR Workshop topic is right for your student organization. 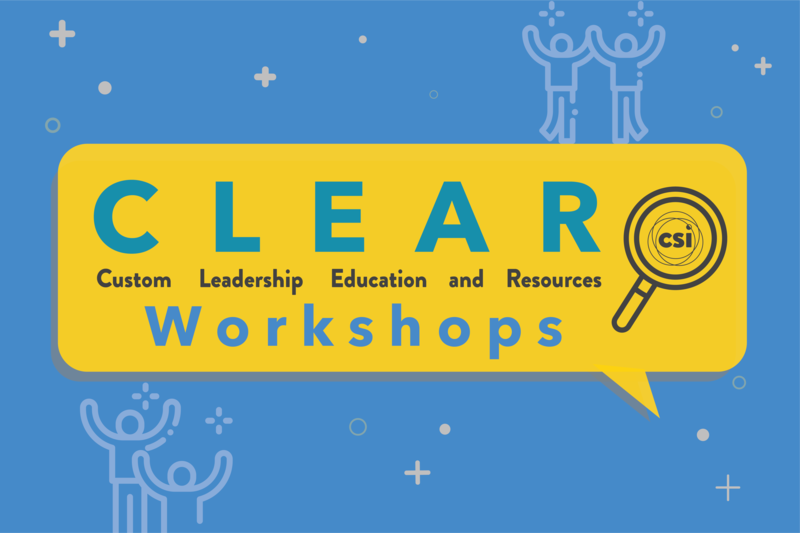 You can learn more about the CLEAR Workshops here or you can request your CLEAR Workshop by filling out the CLEAR Workshop Request form on AggieLife. “The Five Dysfunctions of a Team” & How to Overcome Them- This workshop will provide insights and tools to help your RSO move from a hot mess to a SUCCESS. Are you interested in changing your team’s dynamic to operate in a more positive and functional way? This workshop is for you. 10 Ways to Avoid Death by Meeting- Do you dread attending meetings that are unproductive and a waste of time? Want to plan and conduct more effective meetings? This workshop will provide an overview of the necessary steps in planning and facilitating meetings. Ten strategies will be provided to evaluate and improve your meetings as well as how to manage difficult participants. Conflict Management- This workshop for Student Leaders will focus on strategies to apply critical thinking and active listening to address group and individual conflicts. We will talk about strategies to have difficult conversations, navigate conflicts, practice perspective-taking, and explore the value of “listening to understand”, as opposed to “listening to respond”. Delegation and Committee Utilization: We know you and your student organization have a lot of programs throughout the year and tasks that must be done. Let us help you come up with strategies for accomplishing your goals. 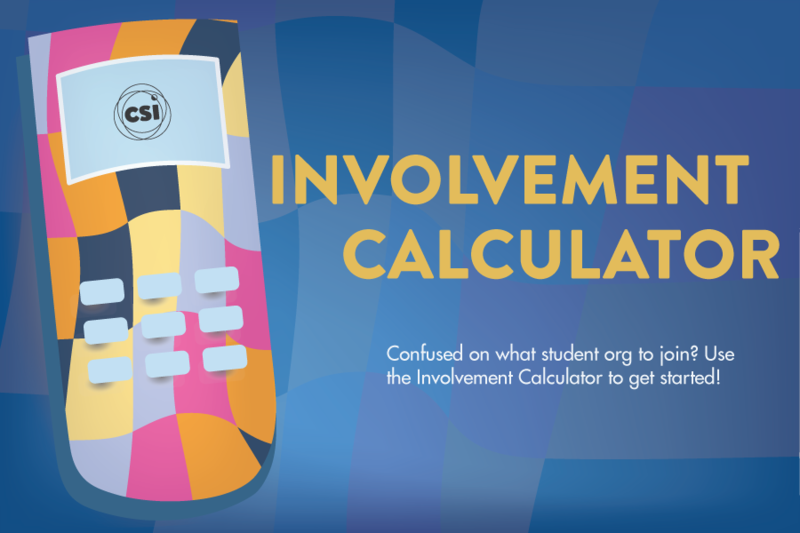 Learn how to delegate tasks and utilize committees to make your student organization more efficient. 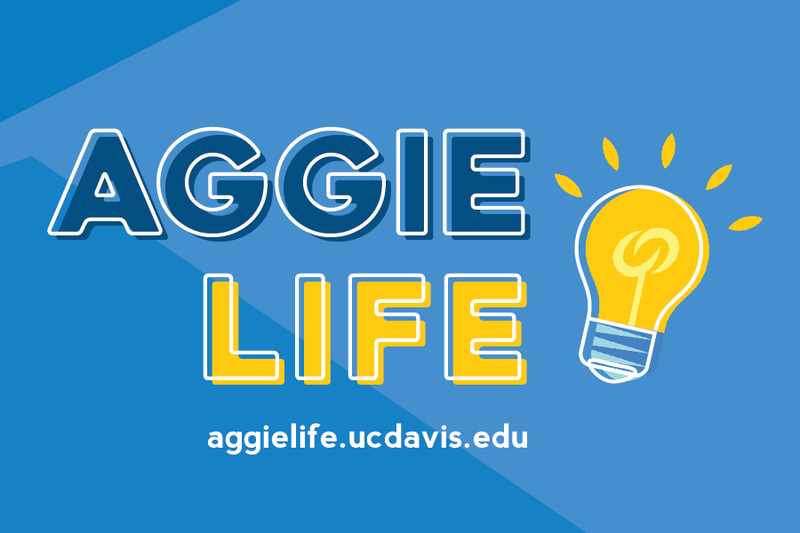 Funding Your Student Org- Learn about strategies, resources, and opportunities at UC Davis to fund your student organizations events and initiatives! This workshop will provide you with the tools you need to maximize your financial opportunities at UC Davis. We will help you learn about setting up on-campus fundraisers and applying for grants! Getting the Word Out: Effective Marketing for Your Group- This workshop will present effective ways to promote your student organization and inform students about the opportunities you provide. Goal Setting and Strategic Planning: What are you student organization’s goals for the year? Do you have a strategy to achieving your goal growing your organization? Let us help you develop goals and a strategic plan to meet those goals. Hazing Prevention and Bystander Intervention: Many student organizations can feel like home away from home. It is important that all of your new and continuing members are safe and feel respected. At this workshop we will discuss strategies to prevent hazing, how to report hazing, healthy teambuilding alternative, and the importance of bystander intervention. Holding Youth Events: What You Need to Know- Did you host an event for K-12 students (campus field trip, youth conference, panel presentation, cultural activity, athletic activity or visit by your group to a school or other off-campus event involving minors)? If so, your group needs to be informed to ensure safety for youth participants and protection for your members and organization. This workshop will review UC Davis standards for youth activities and critical risk management strategies to equip you to hold a successful event. Including Diverse Perspectives in Your Student Organization- This workshop will provide an opportunity to strategize ways in which you can build an inclusive and diverse student organization that incorporates different perspectives. We will focus on outreaching to underrepresented students, international students, students with disabilities, students with families, and much more. Additionally, we will discuss how using inclusive language and incorporating the Principles of Community into the mission of your organization will help empower every member of your group to make their voice heard. Keys to Communication- Want to be better at communicating with fellow club members? This workshop will be going over verbal as well as non-verbal communication and also what makes a good listener. Leadership in the U.S. (for international students)- This workshop is ideal for international students looking to be involved on campus. We will talk about what leadership looks like in the U.S., how to get involved on campus, and tips on how to confidently use previous leadership experiences. Maintaining Momentum- Does your group need a pick me up? Are you looking for ways to motivate your group to start on a high note? Come to this workshop to learn the benefits of keeping your members motivated, who’s responsible for doing the motivating, and some fun tips and ideas on how to motivate on a budget! Making Meetings Work- Do you dread attending meetings that are unproductive and a waste of time? Want to plan and conduct more effective meetings? This workshop will provide an overview of the necessary steps in planning and facilitating meetings. Strategies will be provided to evaluate and improve your meetings as well as how to manage difficult participants. Money Matters- This workshop provides participants with an overview of the financial responsibilities of student organizations, and how these should be managed. This workshop will provide student leaders with the tools to successfully navigate organization finances. Topics of discussion will include general banking tips, process for establishing and maintaining organizational accounts Agency Accounts and relevant fund-raising policies. This workshop is highly recommended for newly elected financial officers. Motivating Yourself: Just Keep Swimming- In this practical and thought-provoking workshop, we will explore the psychology and neuroscience of motivation, discuss strategies for self-motivation, and consider how initiative relates to success in leadership, work, and life. Passing the Torch- Is your organization being challenged because you have to start all over again with each ‘changing of the guard’? Implementing an effective officer transition program for your student organization is a critical responsibility of outgoing leadership. Learn strategies that will ensure future success for your organization. Preventing the Sophomore Slump- Don’t fall victim to the sophomore slump! Get advice on how to keep up the momentum you built as a freshman and stay motivated during you second year at UCD. Risky Business: Risk Management for Student Organizations- This workshop will examine potential risks involved in student organization activities, review proactive and corrective action steps to reduce risk, and consider personal and organizational liability if something goes wrong. Secrets to Planning Your On-Campus Event- This workshop will help RSO leaders planning events on campus to learn about the reservation and event-planning process. Team building- For this workshop, Center for Student Involvement will facilitate team builders and icebreakers. This is a great way to get to know everyone in the student organization, build trust and relationships among officers. Time Management & Life Balance for the BUSY Student Leader- Do you procrastinate? Do you wish you were more organized? Are you struggling to balance school and being a student leader? If so, this workshop is for you and a perfect opportunity to re-group before the busy finals season! Build Your Own- This is the option for you if you none of the above topics meet the current needs of your organization, or if you can't pick just one, CSI will work with you to create a custom workshop for your student organization.